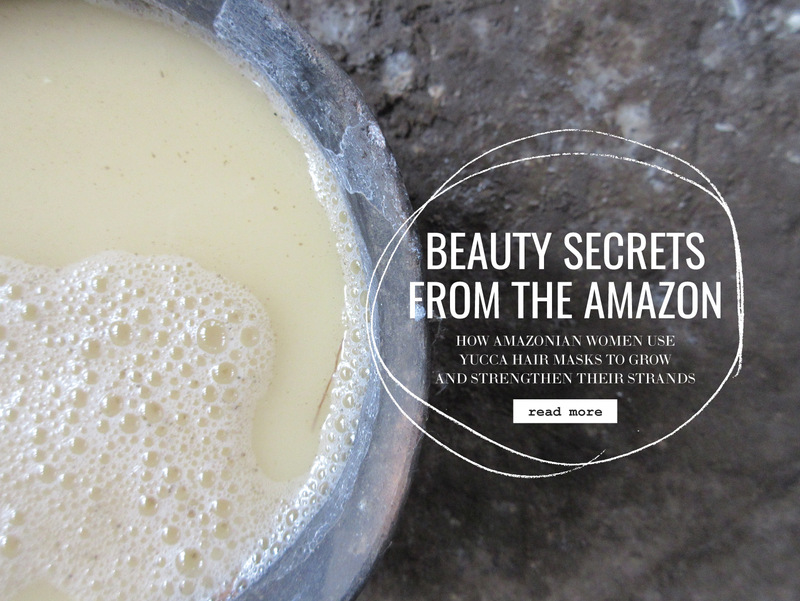 There’s a reason why beauty brands have been looking to Amazonian ladies for inspiration. That’s because these native women have been harvesting beauty secrets for centuries that the rest of us are only now discovering. 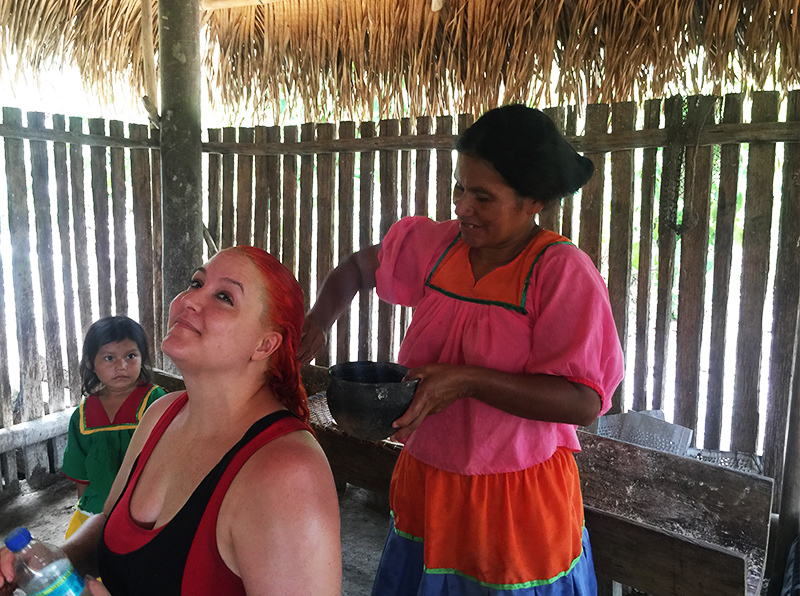 During one of our Around The World Global Travel Adventures in Ecuador, we sat down with an incredibly friendly native woman who lives in the Amazonian rain forest with her family. To our delight, she often caters to tourists in search of a more local way of life. 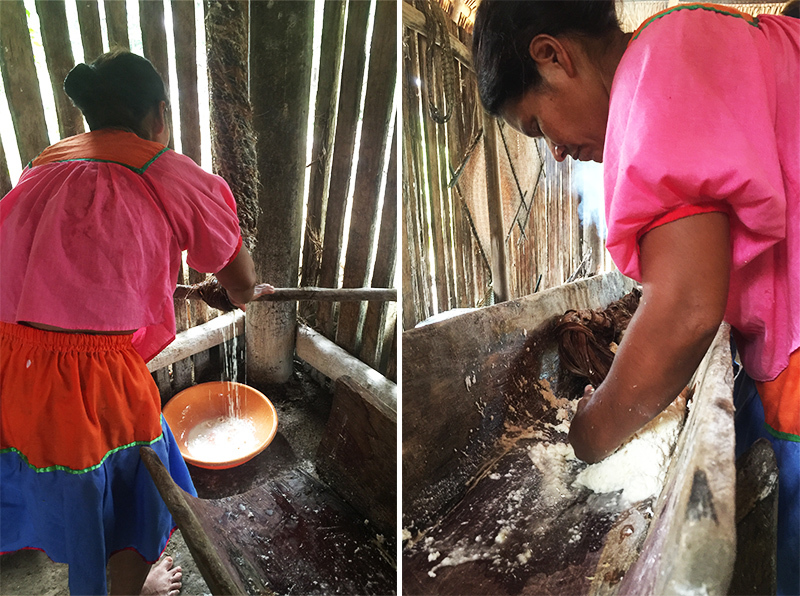 She welcomed us into her home, cooked us her favorite meal, and demonstrated some of her family’s more traditional dances. Little did she know, she was actually catering to a group of beauty explorers in search of the ancient hair regimens behind her long, lustrous locks; that appeared completely unfazed by the smoldering heat and humidity. Her beauty secret? Yucca. Yucca is a tropical root vegetable found in many Latin American countries, like Peru and Ecuador. Not only is yucca used for cooking, but it has been used traditionally for health, hygiene, and beauty purposes for years. In fact, it’s commonly used as a natural cleanser for the scalp and hair – hence this woman’s strong and super shiny strands. We were excited to learn more about this traditional go-to beauty ingredient and how it works to prevent hair loss, strengthens strands, boosts shine, and even treats dry scalp. Check out some of the benefits below along with an easy-to-follow yucca hair remedy to try at home. Yucca – thickens hair while adding volume (which who doesn’t love that?). Gather your Yucca succulents ( Machete suggested: It’s super deep in the ground). 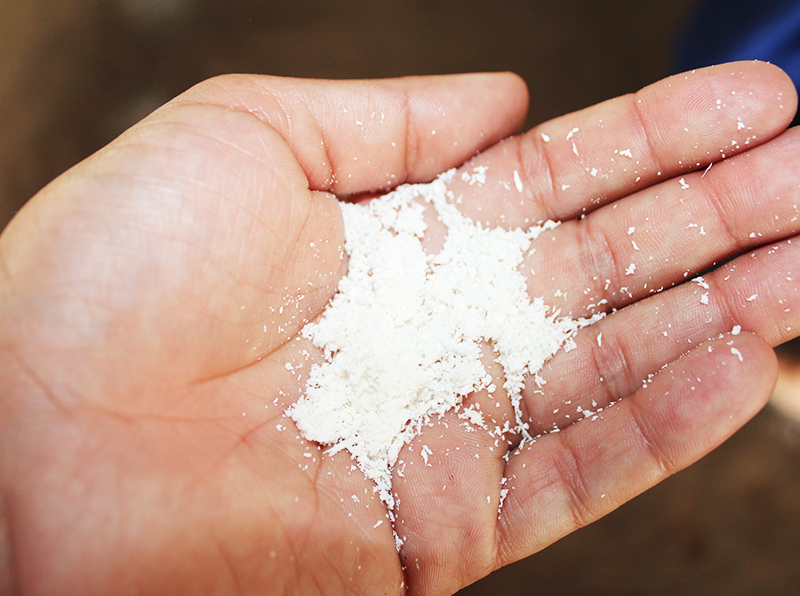 Wash the Yucca and grate it into a powder form. Using a strainer, or as seen in the picture an extra duty jungle strainer – strain the juice from the yucca. Voilà – Here is your shampoo! Now for a little extra cleansing, you can mix in some of the powder onto the scalp and rinse out after 5-10 minutes. Expert note: Your hair will need to get used to using this as shampoo, so don’t be surprised if it gets a little sticky the first time around. A little extra? Use is as a deodorant or save it for a day when you experience a headache or minor skin injuries. Just apply directly to the skin and it’ll heal from inside out. Great for inflammation. Haven’t heard of Yucca until now, thanks! This looks so cool! It seems like it would be a great exfoliater for one’s scalp.